HARARE, Jun 5 2012 (IPS) - The Southern African Development Community’s protocol on shared watercourses is recognised as one of the world’s best. But sound agreements on the sustainable and equitable management of joint water resources require effective means to implement them. Water officials from across Southern Africa are meeting in Harare, Zimbabwe, on Jun 5-6 to develop a mechanism to monitor the implementation of the regional agreement. SADC’s 2003 Revised Protocol on Shared Watercourses stresses a basin-wide approach to managing transboundary waters, rather than an emphasis on territorial sovereignty. It spells out the objectives of sound management as including coordinated management, sustainable use, and environmental protection. The river basin organisations that are holding their fifth meeting in Harare are charged with promoting equitable use, setting out strategies for the development of shared rivers and lakes, and developing a policy for monitoring shared watercourses. Armed conflict over water has long been predicted; most recently the United States Office of the Director of National Intelligence said such wars would break out within the next decade. But although many parts of the region are already facing water stress, SADC expects its numerous transboundary watercourses to be the basis of closer cooperation rather than conflict. Msibi believes managing shared river basins in line with integrated water resource management principles – recognising that water management encompasses both social and economic goals, and should involve policy-makers, managers and users – contributes to SADC’s three key objectives: regional integration, peace and stability, and poverty reduction. 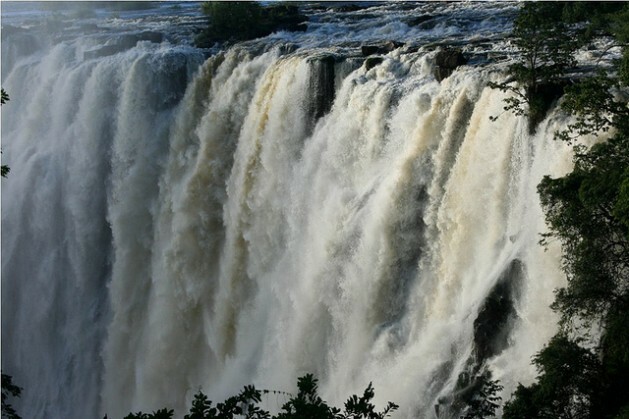 Sipho Nkambule, the chief executive officer of the Komati Basin Authority, which coordinates management of a river system that extends across South Africa, Swaziland and Mozambique, said he would use the Harare meeting as a chance to compare notes on how other river basin authorities were monitoring implementation. He said the main challenge was explaining management of a shared river to people living along its banks. Sergio Sitoe, the Interim Executive Secretary of LIMCOM, the Limpopo Watercourse Commission, said he hoped the new monitoring tool would emphasise communication among member states sharing a river basin. “Member states should notify each other on development projects along the basin, as notification is crucial and failure to do so may create problems downstream and might impact negatively on other members,” he said. As an example, Sitoe mentioned a recent complaint in which the Botswana government felt their South African counterparts should have officially informed them before beginning a development in the river basin. The LIMCOM head said that while regional agreements allowed for disputes to be taken to the SADC Tribunal, there were a number of conflicts in the region that were being discussed behind closed doors. Officials from across the region are agreed that implementation of the 2003 Revised Protocol on Shared Watercourses will promote peace and stability in the region. Msibi said the river basin organisation meeting – which welcomed its latest full member, the Zambezi Watercourse Commission, whose founding agreement was ratified in September last year – was meant to provide guidelines and reach a consensus on what indicators would be used and how these could be applied in each of the region’s transboundary river systems. “We are taking input from all the stakeholders, we will discuss the tool and indicators to monitor progress,” Msibi said. “This agreement can unlock potential for member states, and it creates an opportunity for member states to work together to beat economies of scale,” he said.